Well, here we are, at my favorite time of year…ALREADY! As some of my summer annuals are starting to, well, not look quite as nice as they once did, I’m ripping them out of my containers and landscape and replacing with some freshies that can perform a little better in the cooler season. 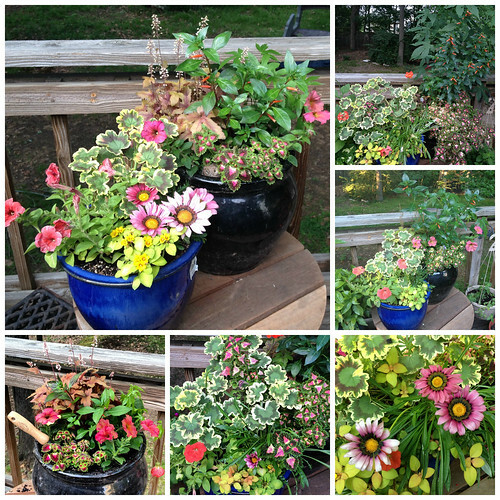 While my summer annuals could certainly make it through until frost, it’s always nice to mix in some new fall varieties as well so my pots aren’t looking so tired. So, what plants define fall to you? Most people say Mums or Pansies, or even Ornamental Cabbage and Kale. 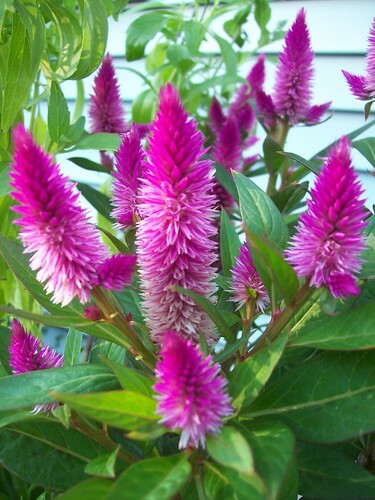 My favorite is the fall blooming Celosia, Celosia Intenz. I love this plant, and every year we can never keep it in stock at the Garden Center. It’s not your typical bronze or yellow fall color (which don’t get me wrong, I LOVE that too), but its a bright fuchsia color which adds a nice pop to a fall mix. 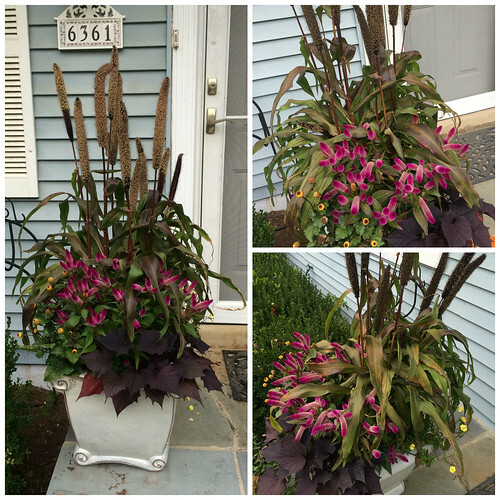 It’s also on the taller side so it can give a little height to a container and has a unique bloom shape which adds some awesome texture. 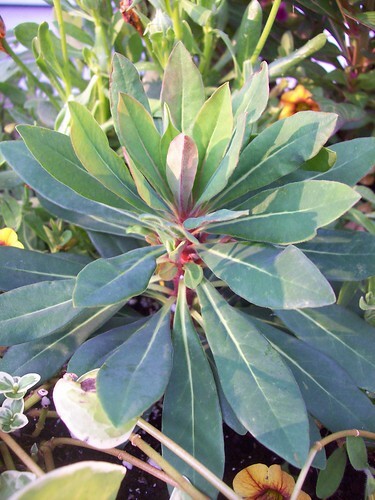 Some of my other favorite fall flowers include the Efanthia Euphorbia and Helena’s Blush Euphorbia (the variegated variety), both of which are actually perennials. The fall interest is their foliage which turns more burgundy as the temperature drops and their interesting shape also adds some great texture. 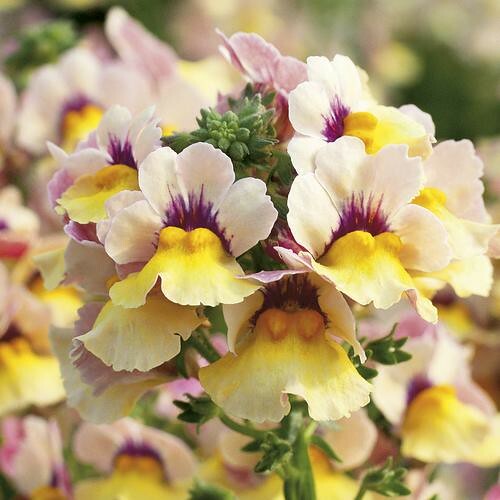 I’m also a huge fan of Nemesia, my favorite being Sunsatia Mango. I’m so in love with this color! And it performs very well in the cool season. It definitely pitters out in the heat of the summer but a couple years ago I had it come back for me again in the fall…but I had the patience, or the laziness, to let it do that! The rest of the Sunsatia Series (by Proven Winners) is great too, but Mango is the prettiest in my opinion. 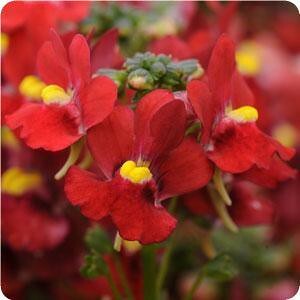 I also like the Aromatica Scarlet Nemesia and Aromatica Sky Blue Nemesia. Both are simply beautiful and wonderfully fragrant. So, like I said before, your summer annuals can most certainly go til frost, and some can even take a light frost too. But sometimes after a long summer some of those annuals can just look a little tired. There are some that perform well in the summer heat and can also tolerate those chilly temps that fall can bring. 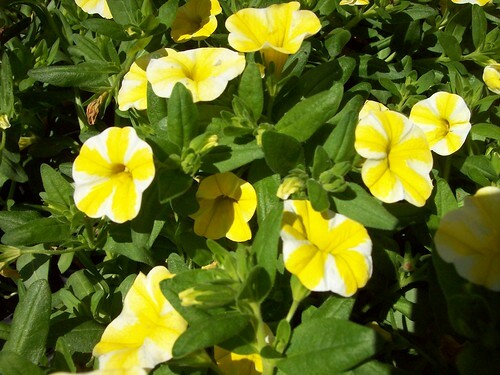 Calibrachoa and Petunias are great examples of this. 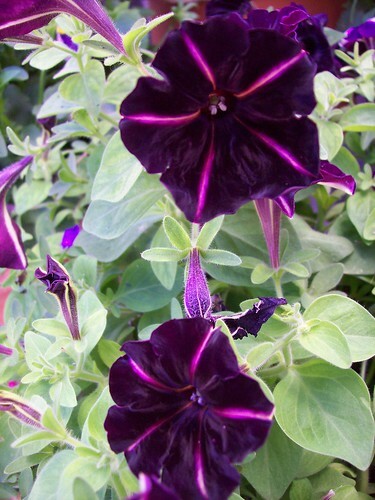 We carry these guys spring, summer and fall…just be sure to watch your watering on those petunias in the heat – they can get thirsty. I even conducted a small experiment early this spring and sacrificed one 4″ pot of calibrachoa, you know, in the name of science. Well, the exciting part of this story is that I left this little guy out all by himself in the 28 degree cold of night and he was totally fine! Now, I don’t think we got a true frost that night but it got darn cold! OH! 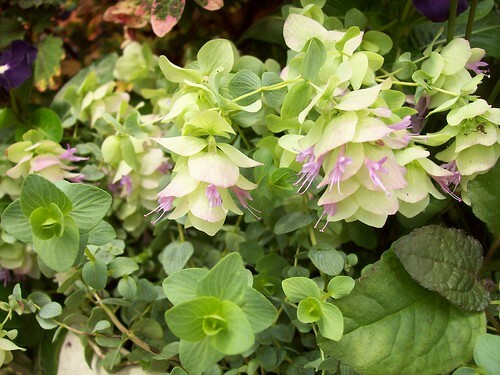 And one more I absolutely cannot leave out is the Kent Beauty Ornamental Oregano. 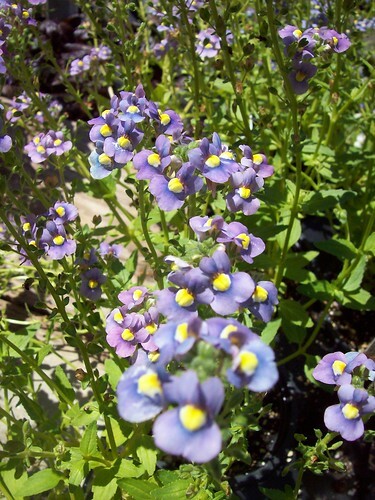 This is hands down one of my faves and is actually a perennial I often winter over to include in many of my containers. I keep a stock of these guys in the Annuals Department throughout the growing season because they perform so well in mixed containers. 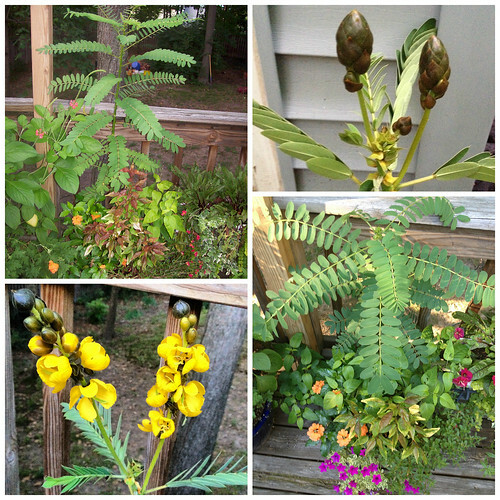 So, what are you doing in YOUR garden to spruce it up for the cool season coming up? Inquiring minds want to know!